If a product is good enough for a celebrity, it’s worth buying. That seems to be the idea behind ads featuring celebrities, at least. But while celebrity endorsements may often drive sales, a star’s power of persuasion is no match for another group. 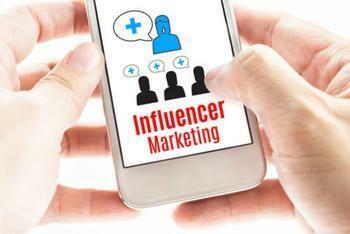 According to a new survey by marketing firm Collective Bias, the reigns of influence may be in the hands of non-celebrity bloggers. A survey of 14,000 people revealed that a mere 3% of participants said they would consider buying a celebrity-endorsed item. Sixty percent, however, said they have been influenced by a blog or social media post when shopping. One group in particular seems to put an especially hefty amount of trust in bloggers' opinions: Millennials. Retail Dive reports that 70% of millennials prefer “peer” endorsements over celebrity promotions. These results suggest that traditional advertising now pales in comparison to alternative forms of marketing, like blogs and social media. Ad-blocking may also be interfering with traditional advertising, explains Bill Sussman, CEO of Collective Bias. "As ad blocking continues to grow, it only further threatens the effectiveness of traditional ad techniques to deliver ROI, meaning brand marketers will need to turn to more effective alternatives such as influencer content,” said Sussman in a statement. The survey did not define the word “celebrity,” so it’s unclear how participants may have interpreted the word. But if the standard definition of celebrity applies (i.e., the faces we recognize from television, magazine covers, or movies), there may be some amount of “celebrity fatigue” involved in the shift. Consumers are regularly bombarded by celebrity faces, whether it’s in line at the checkout or at home watching TV. Not only can this be tiresome, but celebrity endorsements have been known to backfire. If a star’s reputation goes down, it may also take the brand’s reputation down with it; there’s risk in being associated with it for both the advertiser and the consumer. It may also be that the very definition of celebrity has changed. As consumers spend increasing amounts of time on social media, they may have begun to idolize their favorite blogger or social media personality just as much as they might a celebrity. Facebook and YouTube were found to be the most persuasive channels, according to the survey. Teens and social media: is generation Z addicted?